2012 was the year proclaimed as the end of time by Mayan hieroglyphs, extra-terrestrial communicators, and bad disaster movies. 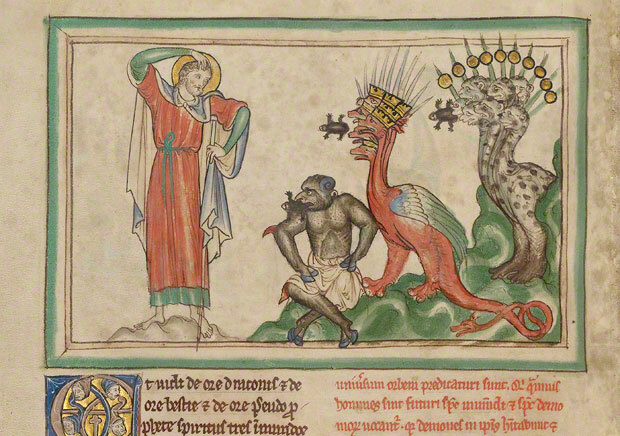 The Getty Apocalypse, a medieval manuscript of the biblical Book of Revelation recently published as a facsimile by Getty Publications, suggests what fantastical horrors we have nearly escaped—or might expect when the end is nigh. Page from the new book Illuminating the End of Time. 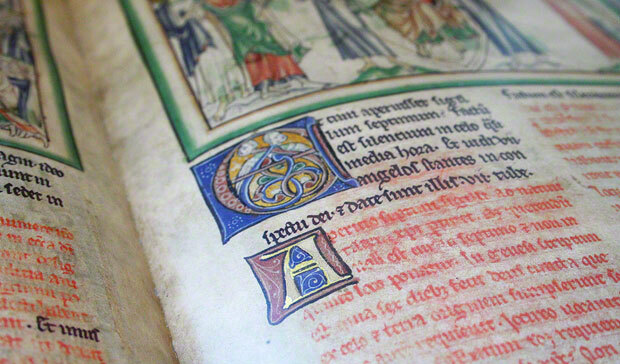 The facsimile pages simulate the intense colors, thick parchment, and gold leaf of the 13th-century manuscript. 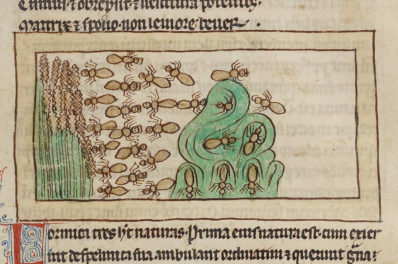 This manuscript was the product of a previous doomsday craze. In the late 1100s, an abbot named Joachim of Fiore gazed deeply into the arcane symbolism of Revelations, did some math, and forecast the end of time as precisely 1260. By the mid-1200s, the day’s headlines were filled with mounting signs of the Antichrist: as Ghengis Khan’s armies moved in from the East, emperor Frederick II was persecuting the pious Franciscans, which led to his excommunication and deposition by the Pope. 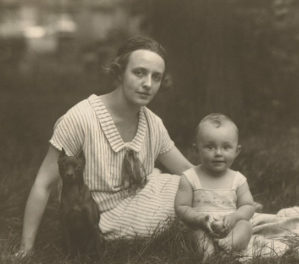 Suddenly, there was a boom in lushly illustrated apocalypses. 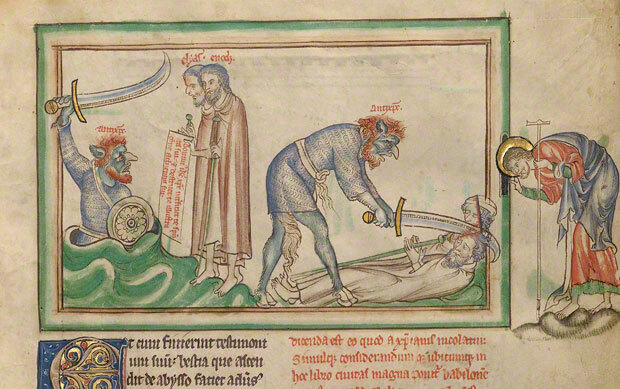 In 1255 a team of artists and scribes got to work in England, applying fluid Gothic book hand, jewel-toned washes, and gold to the book’s end-time visions, from Christ with the seven candlesticks to the beast cast into the pool of fire. Appearing in many of the gorgeous illuminations is the author of the book, Saint John, peering through a window onto the action and sharing in our horror, fear, and wonder. …they are rightly likened to frogs, that are unclean reptiles living in the mud, because just as the frog dwells in dirty waters, so the disciples of Antichrist will easily deceive those who are not afraid to be dirtied by diverse vices and sordid ways. For the harsh and ugly voice of frogs signifies their wicked preaching full of blasphemies. 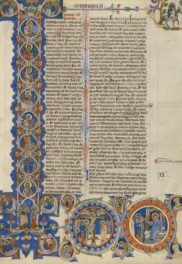 The last illuminations of the Getty Apocalypse have gone missing over the centuries, but the facsimile includes pages from a related manuscript that conclude the Book of Revelation with the second coming of Christ and the establishment of the New Jerusalem. The reign of the Antichrist will sear flesh and rend souls, but the saved will go on to enjoy a new spiritual utopia. So the end of time is not entirely a bad thing. Which is a relief, since the apocalypse is indeed nigh: the book is shipping now.